It's (probably) true. Some of it. There are stories about what will happen. They may be true. They may be complete rubbish; a million voices crying out utter bulls*it. Before Star Wars: The Force Awakens, there were A LOT of rumours. Some of them hit like Luke Skywalker firing at the Death Star (see: Han Solo dying); some were close to the mark (Kylo Ren and Rey being siblings); and others had all the accuracy of a Stormtrooper who's just banged his head (the vast majority of Luke theories). However, like the Empire and planet destroying weapons, the internet is definitely trying again. The Force Awakens may have been the most hyped film of all time, but it's really just the beginning. It has reignited the saga, and now there's going to be a new Star Wars movie every year until the Earth dies (or at least 2019). There's the standalone 'Star Wars Story' Rogue One later this year, Rian Johnson's Episode VIII in 2017, the Phil Lord and Chris Miller Han Solo film in 2018, and then finally Colin Trevorrow's Episode IX, and that's just the films that have been confirmed. However, with these films being some way off, and kept under the same cloak of mystery The Force Awakens was, it's no surprise there are rumours, from when we can expect the trailer to the return of a major villain. The next film off the Disney/Lucasfilm production line will be Rogue One: A Star Wars Story. Ignoring the terrible subtitle, it sounds incredibly exciting. Essentially Open Crawl: The Movie, it'll focus on a band of rebels who attempt to steal the plans to the Death Star, with the likes of Felicity Jones and Mads Mikkelsen among the cast, and Godzilla's Gareth Edwards directing. 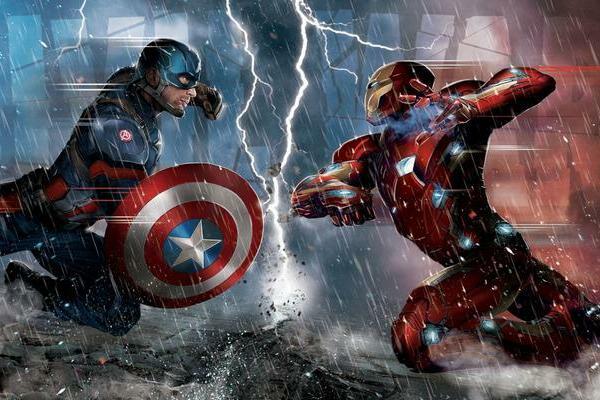 It's slated for a December release, and Star Wars Time are reporting that we'll get the first trailer for the film with Captain America: Civil War, which opens in the US on May 6. Rating: 7/10 If this were simply saying that there'd be a Rogue One trailer attached to Civil War, then it'd be pretty much a certainty. After all, both are Disney-owned properties, have an overlapping fanbase, and Civil War is going to be one of the biggest films of the year, so it'd guarantee the film some major exposure. However, as I mentioned earlier, the film's out in December, which makes it a similar timetable to The Force Awakens. By May we'd had the second teaser for that film. While obviously the first teaser for Rogue One is later than The Force Awakens', the start of May seems very late for it to hit. That said, I'm happy to be wrong, and for them to keep a lid on this as much as possible.